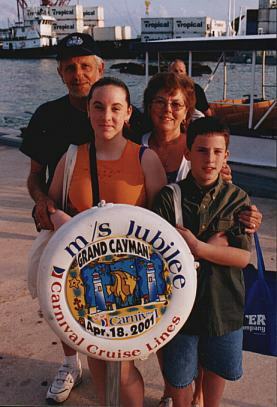 Cal, Miranda, Myrtle, and Marshall on the pier in Grand Cayman. The best thing about Grand Cayman was the snorkeling. We took lots of pictures with an underwater camera, so those will be here as soon as we get them developed.